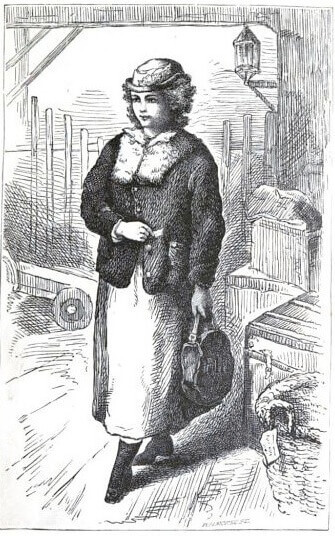 An Old-Fashioned Girl , featuring Polly Milton, whose world becomes a bit bigger when she visits her wealthy friend in the city, Fanny Shaw. 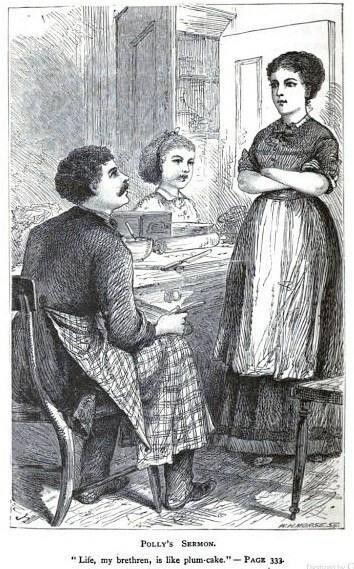 Alcott first published the story in serialized form in Merry's Museum magazine in 1869, then added a final chapter for its publication as a novel in 1870. Favorite Polly quote:"Life, my brethren, is like plum-cake."